Size: approx. 10 mm. Photo: 09/26/10, 1 pm. I have dozens of them in my sago palms. They scared me for years because they look a bit like back widows (to my untrained eye). Orchard spider aka orchard orbweaver aka venusta orchard weavers (Leucauge venusta). 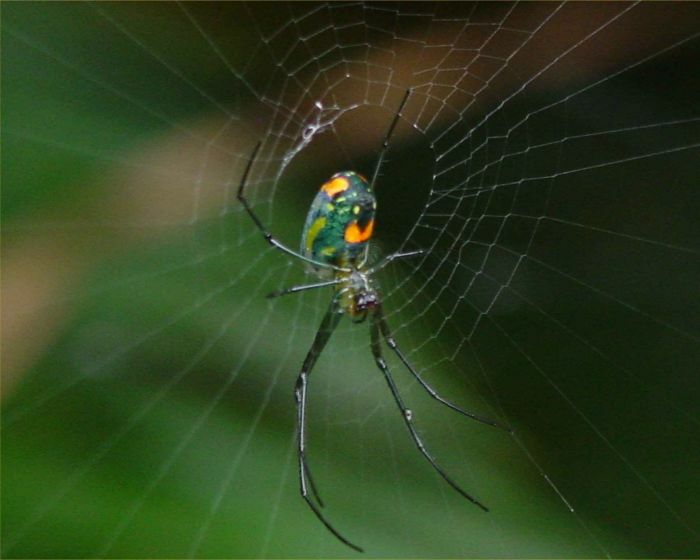 They like to hang upside-down in their often horizontal webs. They also have a facebook page. 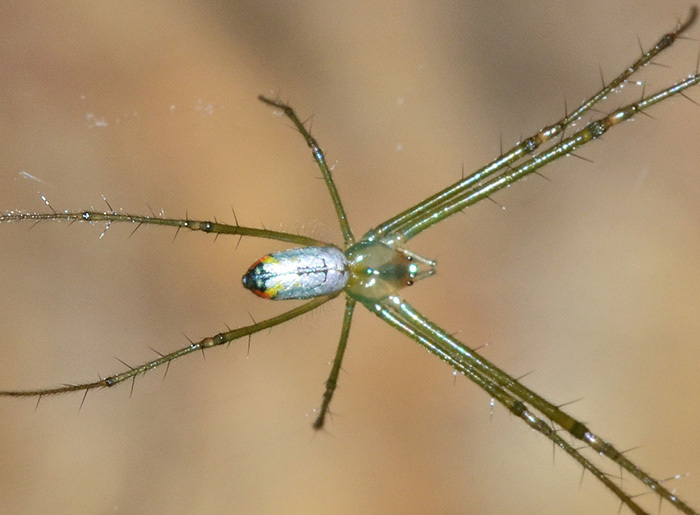 Found from Florida south to Brazil, this little spider can feature a silvery body but overall I find this species difficult to distinguish from Leucauge venusta.